Noreen and Kody were married outdoors on a beautiful day during an immersive summer wedding weekend with friends and family. 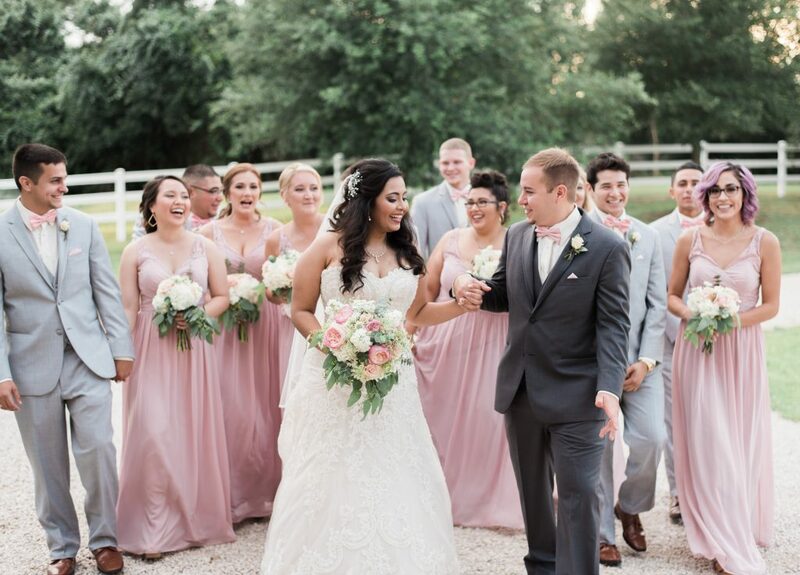 With exclusive access to the Inn at Quarry Ridge, they were able to plan their ideal wedding and spend plenty of time with their guests using the resort-style amenities that came along with the property. In December of 2015, Kody told Noreen he wanted to take her to the renowned Aggie Century Tree on the Texas A&M University campus so his mom could snap some Christmas pictures of them together. Little did Noreen realize, this was the moment Kody would ask her to be his wife. He was so nervous, he accidentally dropped the ring on the ground right before proposing, but without hesitation, Noreen said yes. 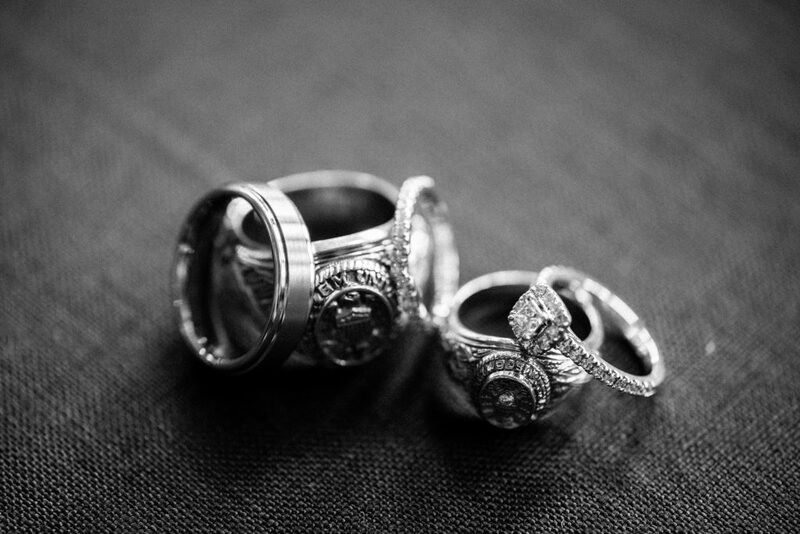 Soon after proposing, the two bought a home together in Bryan College Station and began their wedding planning process. 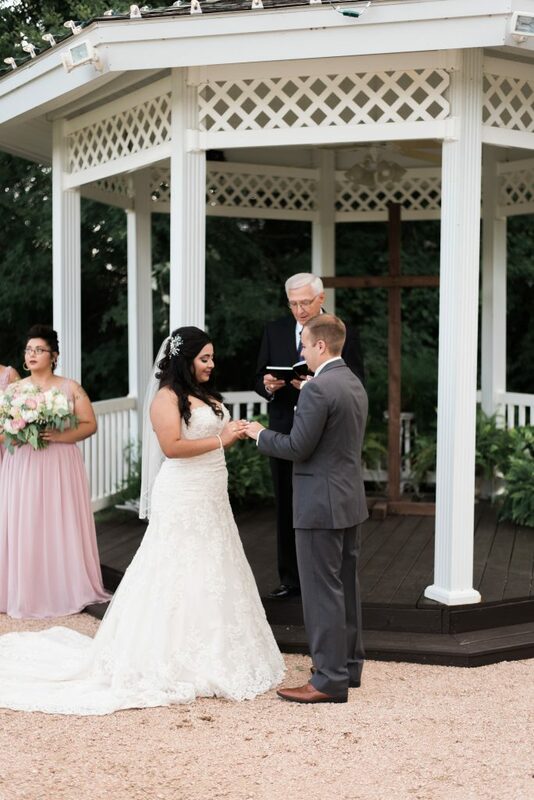 Noreen and Kody made a list of their top venues to visit in the area, one being Inn at Quarry Ridge after a recommendation from a fellow coworker. 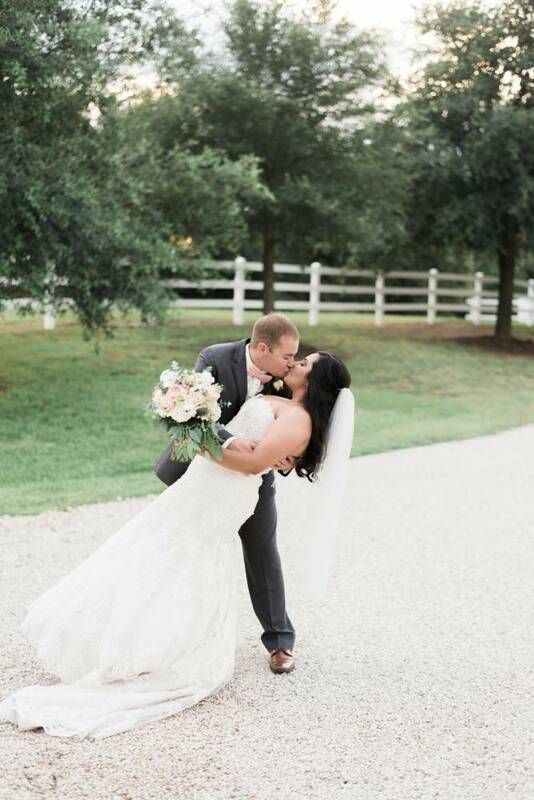 After visiting a few more locations, the Inn at Quarry Ridge kept popping back up as the venue that just felt right for the two to begin their next chapter. They discussed the various package options and decided to book the comprehensive Marble Package for a complete wedding weekend experience. Once the wedding weekend rolled around, the couple thoroughly enjoyed having the venue for the entire weekend. On Friday, Kody and Noreen hosted a rehearsal dinner on-site with catering by Smitty K’s. The wedding party was able to run through their rehearsal twice with music, enjoying fajitas and margaritas alongside the pool. The soon-to-be newlyweds and their closest family and friends spent the evening relaxing, chatting, and swimming. 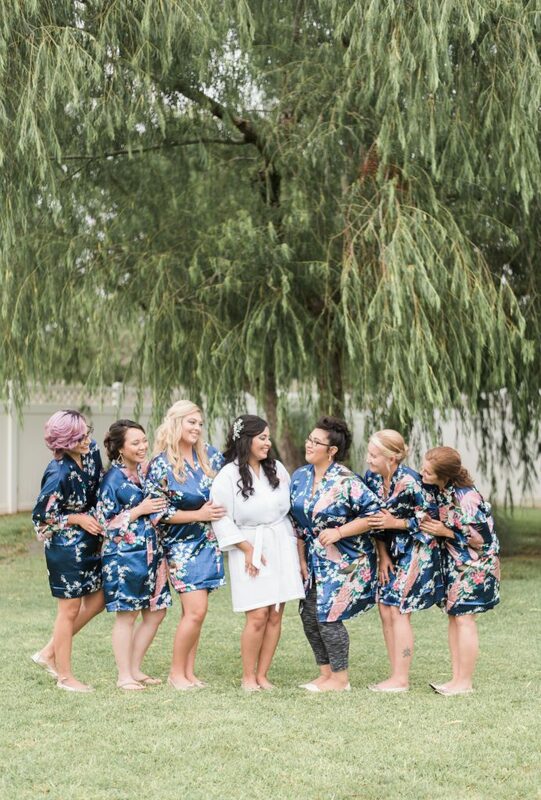 As the evening wrapped up, Noreen and her bridesmaids were able to stay the night at the Inn and wake up refreshed on-site, ready to begin the wedding day activities. The perfectly sunny wedding day soon had a pending rain storm heading their way. Larry with the Inn consulted with Noreen and agreed to wait until the absolute last minute before making the call to move things indoors, in hopes of giving Noreen her dream outdoor ceremony. Luckily, the rain held off and one hour prior to the ceremony, the Inn was able to quickly set the chairs for the blissful outdoor pond-side ceremony. Following the nuptials, the newlyweds enjoyed a festive celebration with family and friends in the expansive Great Room before escaping to their cozy honeymoon suite. In the midst of all the fun, Noreen and Kody forgot to grab a slice of their wedding cake. The couple was ecstatic to see that Larry and Sue had not only provided them with snacks in their suite, but also had a nice, big slice of their wedding cake waiting for them, complete with champagne. The next morning, the bride and groom were able to leisurely gather their belongings and decor from the wedding before heading off to brunch with close family as husband and wife.